Organic Architecture is a term, which used by Frank Lloyd Wright. It describe environmentally integrated approach to architectural design. It was strives to unify space, to blend interiors and exteriors, and create a built environment not separate or dominant from nature but as a unified whole. It is achieved through design approaches so sympathetic and well integrated with a site that buildings, furnishings, and surroundings become part of a unified, interrelated composition. 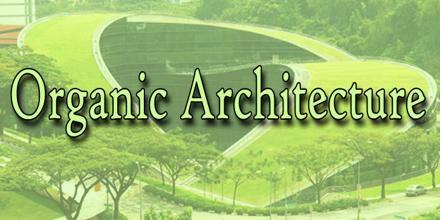 “Organic Architecture” is also known as “Bionic Architecture”.